Plus: Exactly how to get all the outdoor body benefits in one place. You’ll be surprised how much faster time travels when you aren’t in the gym. “Changing your routine, seeing new faces, taking in your surroundings – this all helps combat workout boredom,” says Robert Gotlin, director of the Orthopaedic and Sports Rehabilitation at Beth Israel Medical Centre. To top it off, a gruelling workout may not seem so, er, gruelling. “When you’re distracted by the environment, you’re less aware of your effort, such as how much your quads burn.” Heck, you might even double your workout to 60 minutes without even knowing it. It’s easy to get in a fitness rut when your body knows exactly what to expect from your gym machines like the treadmill, elliptical and stationary bike. The varied terrain of a park or outdoor fitness event might be just what your body need to challenge itself to move in varied, more complex ways, says Stacy Berman, founder and creator of outdoor exercise class, Stacy’s Bootcamp. Factor in wind (Mama Nature’s form of resistance training), temps (the hotter the weather, the harder your body has to work to cool down) and other external variables, you can end up torching five to seven percent more kilojoules just by trading the treadmill for trails. Playing outside is like organic Prozac. “Breathing fresh air opposed to the recycled kind can create a feeling of euphoria, which comes from the body’s release of feel-good endorphins,” Gotlin says. “It’s not that your muscles respond better to it, but rather your mind does, which in turn makes you want to work harder.” Exercising outside also creates greater feelings of revitalisation, energy and positive thinking than does working out indoors, according to a report published in Environmental Science and Technology. What’s more, after a 30-minute walk in the park, 71 percent of people feel less stressed, while 72 percent of people who take their walks indoors actually feel more stressed. Gyms aren’t always the meccas of health we make them out to be. A whole slew of studies show that gyms are breeding grounds for germs and bacteria. MRSA is the most dangerous super bug you can catch at your fitness facility – it’s resistant to most antibiotics and can cause fever, rash, wounds and chest pain. Other less harmful infections include athlete’s foot, boils, herpes simplex and ringworm, according to the National Athletic Trainers’ Association. You can avoid these hazards by washing your hands often, changing your socks daily, using foot powder, wiping down equipment before and after use and wearing flip flops in the shower. Or you can simply take your training to the streets (even Rocky left the boxing ring every once in a while to run around his ‘hood). Indoor air is two to five times more polluted than outdoor air, according to a study from the Environmental Protection Agency. If you’ve ever walked into a stinky gym, you know exactly what’s up. Breaking a sweat outside may make you smarter. “Humans were hunter-gatherers and farmers for some 300 000 generations; have been industrialised for only six to eight, so we are outdoor animals living largely inside,” says Dr Jo Barton, the lead author of a 2011 study that analysed the mental health of 53 people who were involved in indoor or outdoor activities for six weeks. “Closeness to nature increases our well-being – it has an immunising effect by protecting us from future stresses and helping us concentrate and think more clearly,” she says. How To Get ALL Of These Body Benefits? 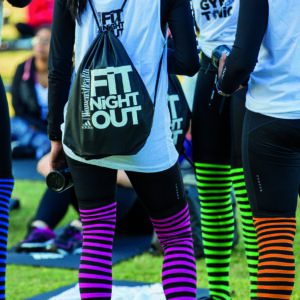 If you really want to really feel the gees, plus experience all of these insane body benefits, get your paws on tickets to Women’s Health’s Fit Night Out in Durban – but hurry Durbs, tickets are selling fast and the event is just around the corner (7 July)! Buy them via Quicket… Seriously, you don’t want to miss this. 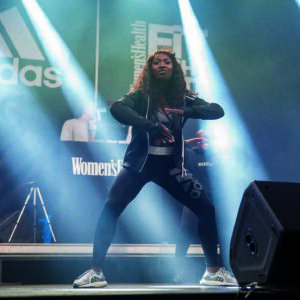 #FNO is powered by adidas in partnership with Shield, Powerade our official hydration partner, Huletts EquiSweet, Totalsports and Virgin Active.